As your local Trane dealer, Straight Line Heating and Cooling. is your troubleshooting expert, and is glad to help you. In addition, Trane also provides a network of troubleshooting technicians at Trane Distribution centers across the country which Straight Line Heating and Cooling. will utilize to address your concern. Should we encounter a situation that requires additional factory help, we will contact our factory supported Service Manager(s) for assistance. As a Trane dealer, Straight Line Heating and Cooling. is the best resource for identifying and supplying the correct, current parts for your system, as well as pricing and availability. There are many factors that affect the sizing and specifications of your system, including square footage, insulation, window surface and configuration, geographic location of your home, duct sizing and arrangement, and many others. Straight Line Heating and Cooling. can perform an in-home load analysis to determine which equipment combinations will perfectly suit your home and your family’s needs. Depending upon the construction of your home, one (1) ton of air conditioning can cool anywhere from 300 to 800 square feet of home. The only way to ensure the size of the system you purchase will be large enough to heat or cool your home, but not any larger than you need, is to have your home’s individual heating and cooling needs evaluated by a licensed professional. 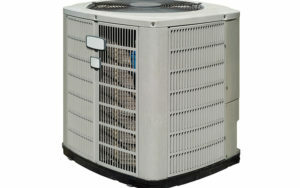 Under the standard factory warranty, Trane covers parts that fail during the warranty period due to defect in the part. The warranty does not cover labor. A warranty certificate was included with your homeowner information packet, and is specific to the model numbers, serial numbers and installation dates of your products. All Trane equipment that we install is registered with Trane Corporation to ensure your 10 year parts warranty. If you cannot find your warranty certificate, Straight Line Heating and Cooling. will also be able to provide you with that information. With a Straight Line Heating and Cooling. Total Comfort Plan, you’ll have a ten year parts and labor warranty on your Trane equipment.